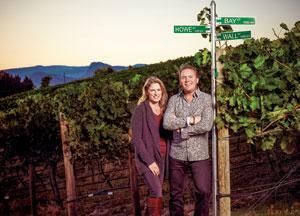 tony Holler of poplar grove Winery brought shrewd business acumen and the drive to build his vineyard. The B.C. wine industry is still dominated by a first generation of serious vintners who brought international credibility to Okanagan wines— wineries like Mission Hill, Jackson-Triggs, the Andrew Peller wineries, Quails’ Gate, Burrowing Owl, Tinhorn Creek and Gray Monk Estate Winery. But Holler is among a second generation that is building on the foundation laid by pioneers like Mission Hill’s Anthony Von Mandl, and who are expanding the province’s reputation worldwide. Today the B.C. wine industry’s annual sales, including wines made from B.C. grapes as well as the cellared-in-Canada wines from imported bulk wine, total about $400 million. Wine has become a major driver of jobs and investment, including the money being spent on new wineries. In addition to Holler, the group making second careers in wine after being successful in business includes Laughing Stock’s David Enns, a former financial consultant; Noble Ridge’s Jim D’Andrea, still a high-powered Calgary lawyer; Tantalus Vineyards’ Eric Savics, still a senior stock broker in Vancouver; John Arthur Kenneth Meyer of Meyer Family Vineyards, a former broker (who goes by Jak); Painted Rock’s John Skinner, also a former stock broker; and Mick Luckhurst, a former building supply dealer and developer who owns Road 13 Vineyards. It is perhaps no coincidence that the new generation of wine entrepreneurs is well represented by current and former members of Vancouver’s investment community who have built successful careers on recognizing market opportunities. “I was a wine collector and an enthusiast,” says Skinner. “But I am also a market-timing guy. 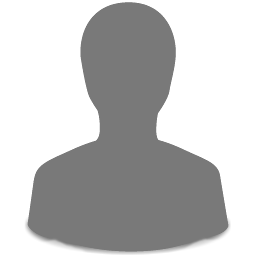 I recognized an opportunity to invest in an industry in its infancy that was just starting to prove itself. I thought it was a golden opportunity if I could buy the best property to produce the best wines.” In 2002, Skinner—then 44—decided to retire from the investment business by 50 and start a winery. 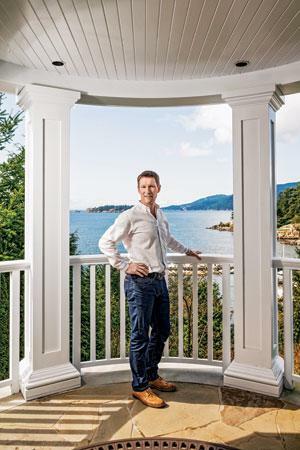 When he disclosed his plan to fellow broker Eric Savics, who had not yet acquired Tantalus Vineyards, Savics thought that “John was barking mad.” Now, both men have sunk millions into one of the world’s most seductive businesses. Tantalus Vineyards in Kelowna was formerly the under-financed Pinot Reach Cellars, which opened in 1997. It came on the market in 2004 with its underlying vineyard. The flagship wine already was a widely acclaimed Old Vine Riesling (from vines planted in 1978). Savics hired professionals to reduce the vineyard’s eclectic assortment of varieties to plantings, mostly new, of Riesling, Pinot Noir and Chardonnay. The makeshift Pinot Reach building was replaced with a winery so modern and well equipped that there is even a charging station for electric cars. “The wine was good and got better,” Savics says. “That justified the additional capital.” Tantalus wines were soon listed by many top Vancouver restaurants. He does not disclose what he has invested, but it is a big number. “I don’t know that number because it has been done in stages. Of course, we have had some revenue to offset that, but it still needs to become a business that can take care of itself.” Tantalus currently produces 4,000 cases a year, with expansion planned as the estate’s grape production rises. “We have enough land and we have the facility that can handle 10,000 cases,” says Savics, who still maintains his investment business in Vancouver. Tony Holler’s Poplar Grove originally opened as a garagiste boutique in 1997. When founders Ian and Gitta Sutherland divorced a decade later, Holler, who had collected Poplar Grove wines and who owned a small neighbouring vineyard since 2004, bought control of the winery and retained Ian as winemaker. The son of a Summerland apple grower, Holler is a former emergency room doctor and a co-founder and CEO of vaccine maker ID Biomedical Corp., which GlaxoSmithKline Inc. bought for $1.7 billion in 2005. Holler now has funnelled his energy and his resources into growing Poplar Grove and its associated Monster Vineyards label, into a producer of 20,000 to 25,000 cases of premium wines each year. “I wasn’t that interested in having a tiny boutique winery,” Holler says. “I wanted to really develop a winery that was a sustainable business and could become a family business that might go through generations of our family. In order to do that, you have to have a certain size.” He decided that would be about 25,000 cases a year, made with grapes from winery-owned vineyards so that the fruit quality could be assured. He spent about $7.5 million on about 40 hectares of land and another $2.5 million planting it. The vineyards, for tax purposes, are run as a separate business by his wife, Barbara. In the last two years, at least $8 million more has been spent on two new wineries—one a functional but modern processing facility and the other a glittering glass-and-steel showpiece on a hillside with a dramatic view over the Okanagan Valley. John Skinner, Jim D’Andrea, Jak Meyer and David Enns all had the resources from previous careers to start wineries from scratch. In 2004, Skinner found a derelict apricot orchard on the east side of Skaha Lake where he contoured ideal growing slopes on about 20 hectares and planted 50,000 vines imported from French nurseries. Painted Rock’s first harvest in 2007 produced two wines that won Lieutenant Governor’s Awards for Excellence in B.C. Wines. The winery won two more from succeeding vintages, along with red wine of the year with a Syrah entered in a national competition. “Painted Rock was successful with quality wine right out of the gate and developed a following pretty quickly,” says Geoff McIntyre, a consultant at accounting firm MNP. 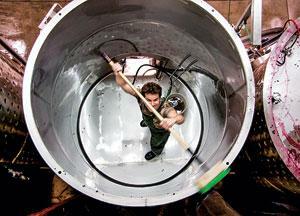 Cleaning the vats at Laughing Stock Vineyards. Already a collector of French and California wines, he was “convinced that Canada also could make very good wines. When we were making our plan, the goal was to make the best wine in the country.” The winery is on a hilltop (hence, the Noble Ridge name) that Jim and Leslie bought in 2001 and planted with four hectares of vines. Five years later, they bought an adjoining three-hectare vineyard with a sturdy barn that housed a basic winery. With several millions already invested, they sold minority interests in the business to friends. “We had a 10-year plan in 2003 when we started making our wine and we are right on course,” Jim says. By 2012 the business was generating a profit. “Does it go as fast as you want it to go?” he asks. “No, of course not.” He continues to practice law, although in the growing season his clients are likely to find him on a cell phone while working the vineyard. “Once we can make a living here, then I will start to get out of the law business,” Jim says. Meyer Family Vineyards principals Jak Meyer and his wife Janice Stevens developed a taste for fine wines while Jak was working as an investment adviser, and that led to his career switch. In 2006, Meyer bought a 1.5-hectare vineyard in Naramata with 10-year-old Chardonnay vines. He retained winemaker Michael Bartier, who then worked at Road 13 Vineyards, to make the first several vintages there. “We looked at the small boutique winery model—just keep that vineyard and do 600 cases a year,” Meyer says. “And it would just be a hobby.” After releasing a $30 Chardonnay and a $65 Chardonnay early in 2008, Meyer quickly understood that the wine business is not a hobby. “We realized that we will never make money at 600 cases,” he says. 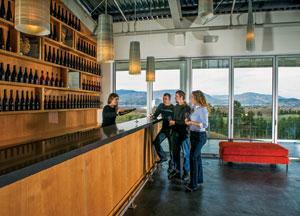 By that summer, Meyer had hired a full-time winemaker and commissioned the design for a showpiece Naramata winery. Then he was able to snap up a 6.5-hectare Okanagan Falls vineyard with a bankrupt rudimentary winery for about $2 million. (The winery had not opened because the owner’s Arizona real estate business collapsed.) This accelerated Meyer’s business plan by a year and gave him the vineyard base to support a viable annual production of 4,000 to 5,000 cases. 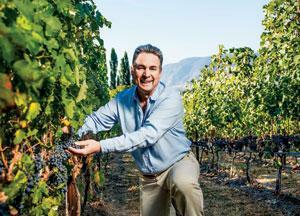 He shelved the planned Naramata winery, investing instead in the Okanagan Falls property. He estimates he has now invested $5.5 million—enough that he would consider adding a strategic partner to what is still a family business. Meyer stopped working as an investment consultant in 2007 and has no regrets, even if the winery still consumes capital. “Five to seven years is probably a reasonable time in which to expect a return,” he says. “Anyone who thinks it will happen sooner will be pretty surprised. It is not about the money for us. We have some personal assets to live off until this starts making money.” He has also fielded inquiries from investors about buying his business. “If somebody wrote us a cheque today, I’d start again tomorrow,” he says. The couple previously owned a successful investment consulting company in White Rock and ran it from the Okanagan for four years after they moved there in 2003 to start the winery on an orchard they had bought. “That was the perfect storm of way too much work and pressure,” says David Enns, who was taking winemaking courses in California at the same time. The couple sold the consulting business in 2007 once Laughing Stock was established. “We now joke that we have the lifestyle that everybody thought we had 10 years ago,” he says. The winery, with production capped between 5,000 and 6,000 cases, is profitable because they got in in 2004-05 when land and constructions costs were much lower than today, and were able to self-finance the more than $5 million that has been invested in Laughing Stock. 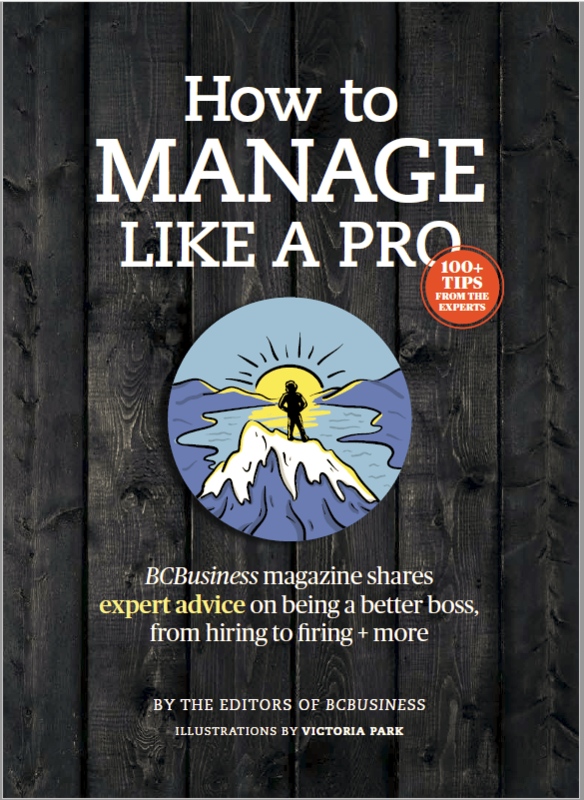 In June 2012, the winery was 159 on Profit magazine’s list of the 200 fastest-growing companies in Canada, with five-year revenue growth of 279 per cent. The winery has succeeded with premium wines, 40 per cent of which are sold to its wine club and 30 per cent to restaurants. The remainder is allocated to wine stores and a corporate gifting program built around business contacts the owners made in their previous career. The biggest surprise, David Enns says, is that the winery now has a cult status. “We had no idea there was any kind of fanfare in it,” he says.